Online Banking is likely your go-to channel, so we want to make sure you have everything you need to access and take advantage of it. If you're curious about what Online Banking can do for you, check it out. When you need some help accessing Online Banking to discover all the ways it can help you, start here first. If the login box on this page isn't working properly, you can access our Online Banking site directly. If you want to enroll in Online Banking, we make the process easy. Are you interested in our mobile banking app? 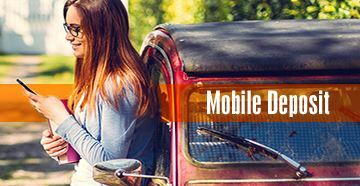 Once you're enrolled in Online Banking, you can download our free app and take care of multiple tasks and transactions using your mobile device. iPhone users can download our app from iTunes, Android users from Google Play. Would you like to sign up for eStatements? Ditch paper statements and switch to eStatements! You'll not only save trees, you'll also help prevent identity theft. With eStatements, there are no documents to lock up or shred.